Preschool Pancake Lesson and Craft: Fun Ideas with "If You Give a Pig a Pancake"
Mmmmmmmmmmmm… pancakes! These breakfast favorites are loved by preschoolers everywhere. They come in many kinds and sizes, just like the preschoolers you’re teaching. So why not use these fantastic flapjacks as an educational theme in your preschool classroom? These activities provides great ideas. Begin by asking the students about the foods they eat for breakfast. What do they eat on school mornings? What about weekends? What are their favorite breakfast foods? Give several students a chance to answer. You may get a wide variety of responses. Next, ask the students how many of them like pancakes. What do they like on their pancakes or in their pancakes? Tell the students that today you will be talking about pancakes. 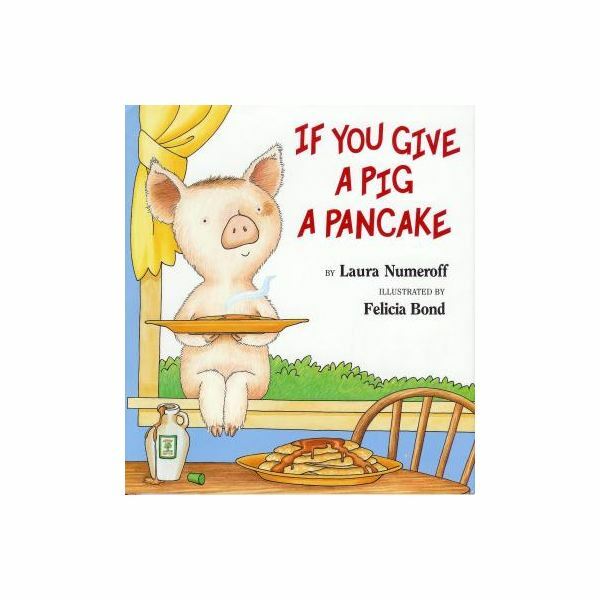 Now read If You Give a Pig a Pancake by Laura Numeroff. You can then discuss the sequence of events with your students. You may want to list them on the board and talk about cause and effect. These may be difficult concepts for preschool students to comprehend, so you will need to keep it simple. Explain to the students that they will now be completing a pancake craft. Begin by giving each student two pieces of brown construction paper, one piece of yellow construction paper, and a pair of scissors. Ask the students to first cut out a circle of each piece of brown paper. You can explain to the students that these circles will be the pancakes, and pancakes come in all sizes. For that reason, the size of the circle is up to the individual student. They may also cut a small square out of the yellow construction paper. Next, give each student a paper plate and Elmer’s School Glue. Now have the students glue the pancakes on their paper plate. They can then glue their yellow square on the top of their pancakes to represent a pad of butter. This is also a good time to have the students write their name on the back of the plate. When they are finished, have them raise their hands. You will now come around with a glue mixture that you have made ahead of time in a plastic squeeze bottle. This glue will appear relatively clear. You may want to add food coloring to add brown coloring. This brown-colored glue will be applied (by you) on the students’ pictures to represent syrup. You can even make child-friendly glue. Now set the plates aside to allow the glue to dry. Finally, surprise your students with an exciting cooking project. Begin with a large plastic bowl and a box of pancake mix. From this point, you will simply follow the directions on the box. Allow the students to help measure out ingredients and stir the pancake batter. Once the batter is ready, tell the students they will have the option of plain, chocolate chip, peanut butter, or peanut butter chocolate chip pancakes. Begin by making the plain pancakes first. Next, make the chocolate chip by allowing the students to sprinkle the top of their pancake with a handful of chocolate chips after you pour it on the electric griddle. Once all of these pancakes have been made, simply scoop some peanut butter in the remaining batter and make the remaining pancakes. 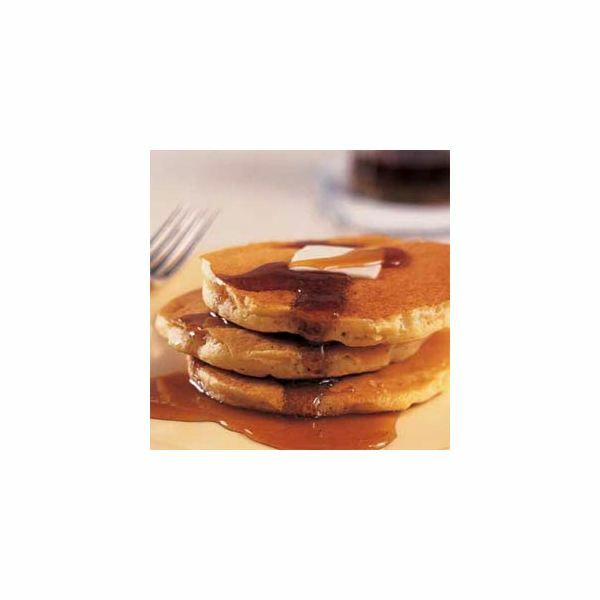 Serve the pancakes on plastic plates, as paper plates will not hold up when using syrup. Finally, have plastic silverware, butter, and syrup available for the students. The students can dress their pancakes and then enjoy! Pancakes are a fun, yummy treat! Students will love this lesson and enjoy a tasty snack. This pancake lesson can also be used in conjunction with these Pajama Party Activities for a Letter P theme! However you address it, this pancake lesson promises to be a deliciously exciting time for you and your students!